A database is an organized collection of online records in a standardized format that can be stored and accessed in a variety of ways. UACCH Library has a large collection of full text journals and periodicals that are available online through approximately 65 databases. The databases are collections of published articles, books and other resources that cover the spectrum of college students’ research subjects. Some of the databases provide access to general reference collections and others are specially designed, subject-specific databases: business, history, nursing, etc. The databases are the best place to find scholarly information for your research and they can be used with relative ease from any online computer. You can limit your searches to full-text only, so, you can immediately print, read, or save the best resources you find. You can also send articles to your e-mail account. 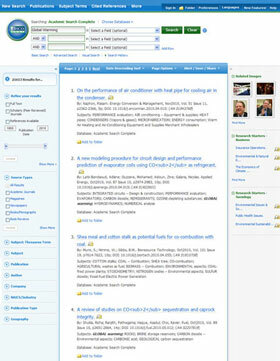 Below, you can see what the EBSCO databases’ interface looks like. Other databases’ search screens and search processes are very similar to this one. 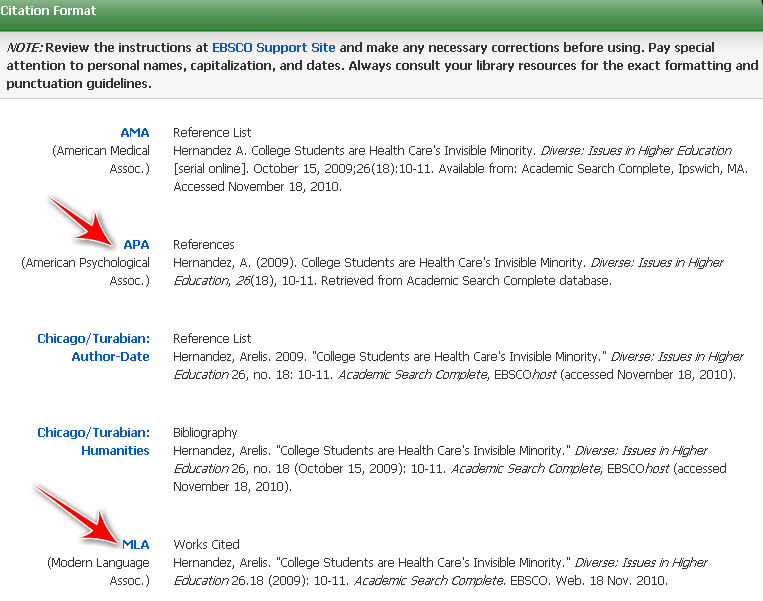 To simultaneously search multiple EBSCO databases, click on the Choose Databases link just above the Search Box. Enter your search terms in the Search Box on the Basic or Advanced Search screen. Click on the Search button to see your Result List. The Search Box will be displayed above the Result List. Your search terms, limiters and expanders are retained and you can revise your search, as needed. Click on an article’s title in the Results List to see its Detailed Record, or you can click on its PDF Full Text link to see the full text of the article. Note that you can email the article to yourself (to print later), save the article in an EBSCO account, print the article, or save the article to your flash drive. The buttons to email or save to your EBSCO folder are on the right-hand side of the screen, and the buttons to print or save are above the article on the left. This is how the article appears in its print format. It looks like it was photocopied from the publication it came from, and then scanned into the database. You can zoom in and out to get a better view of this article. On the right side of the Detailed Record there is a Cite link that will show you how to cite the article in your works cited list.